← Australia – Mecca for Muslim Misogyny? Light a candle in your heart, would you, for Lorde, The Guardian’s latest victim. A little while back, she became one of their heroes because she caved into the Palestinian terrorists and their blood-thirsty, anti-Semitic BDS supporters and decided to cancel her tour to Israel. I’d like to think that Lorde did this out of fear of Muslim violence rather than from being a very stupid person, but I’m not so sure. Either way, Lorde is now an official Guardian victim. The reason? Because female performers at The Grammy on the weekend won absolutely zilch. That is, because Lorde (being the only woman nominated in the first place and consequently the only woman who could have won a Grammy) didn’t win, women also didn’t win. True to form, the forever-whingeing Guardian loudly proclaims if Lorde didn’t win, women were therefore snubbed by a male-dominated industry, and are victims once again. Poor Lorde even went as far as pinning an idiotic excerpt from an idiotic, feminist essay by an idiotic, kindred-spirit feminist favourite of hers to the back of her dress hoping, no doubt, to appeal to all those equally-idiotic Feminists present. Yet, Lorde still didn’t win anything. This obviously made her feel downhearted, instead of recognising herself, quite rightly, as the idiot such idiocy suggests. No doubt all the Guardianistas and assorted luvvies cheering Lorde on were doing so as like-minded, kindred spirits too. 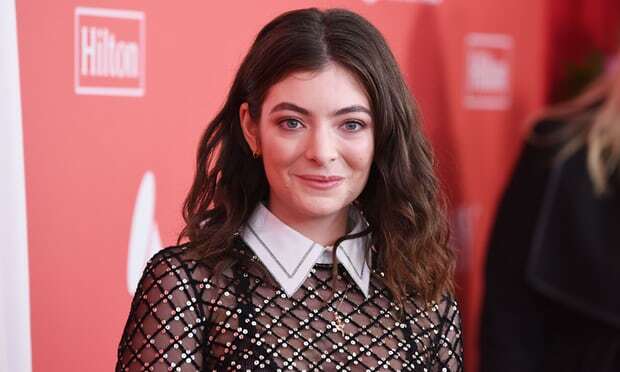 Tragically for her fans, other than an offer for her to participate in the Tom Petty tribute, which she ‘declined’, Lorde was not asked to perform live. This was enough for the Guardian columnist, Anna Livsey, to really lay it on thick, continuing to shed buckets of tears for this petite and very pretty Kiwi imbecile and to rage against the male-dominated music scene. This of course was more politically correct than being honest enough to point out to a Guardian victim that the utter crap she sings and the utterly crappy-whiney way she sings it was clearly to blame. After her Grammys failure, Lorde wrote a scratchy, barely-legible, semi-illiterate, child-like, straight-out-of-kindergarden-scribbled letter to her fans, thanking them for believing in women musicians. She then had it published it in the NZ Herald, all of which implies that even though Lorde probably wouldn’t know the first thing about Israel, let alone find it on the map, she seems semi-literate at least. This entry was posted in BDS, Lorde, The Grammys and tagged BDS, Lorde, The Grammys. Bookmark the permalink.